If a student must ride another bus due to daycare needs or a temporary family situation, all parents/guardians involved must contact the school in writing, prior to the day in question, by using the One Day Bus Pass Form. Forms can be found on the Transportation page of the Norwin web site. All students must have a written request from home signed by both the sending and receiving parents/guardians involved. Both parents do not have to sign the same form, but both sets of parents/guardians must grant permission in writing. A separate form from each parent/guardian is acceptable. For any bus pass to be approved, there must be an open seat on the bus. For social events such as parties or meeting for sporting events, parents/guardians must make other transportation arrangements. 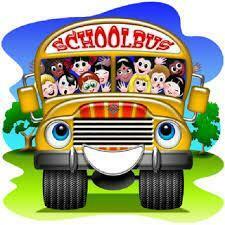 School busses are intended for the transportation of students to and from home and school only.